While Prius and Tesla cars might be thick on the ground in some well-off neighborhoods, the truth is that alternative-fuel vehicles account for just about 5 percent of the automobiles on the road in the United States. The problem is they are still pretty pricey, with hybrids costing almost a fifth more than conventional cars. Drivers might make a lot of that cost up through gas savings, but when oil prices are cheap like they are now, the math gets harder. But it doesn't have to be. GE Global Research partnered with Amphenol Advanced Sensors, Ford Motor Company, and the University of Michigan to make more efficient batteries and take some of the cost out. The Advanced Research Project Agency-Energy (ARPA-E) is sponsoring the project. Battery packs used in automobiles are actually made of bundles of smaller batteries called cells. Batteries inside hybrid cars typically hold 76 cells, which use lithium-ion technology to store electricity. The goal of the partnership is to shrink the battery size to 60 cells and shave production expenses by 15 percent, all while maintaining long-term reliability and life. "Researchers are constantly looking to new materials and chemistries to improve performance," says Dr. Aaron Knobloch, a senior scientist at GE Global Research and the principal investigator on the project. "We wanted to find ways, with controls and sensors, to improve performance using the cell chemistry we have today." The team is using a physics-based modeling approach called the "digital twin" to achieve its goal. 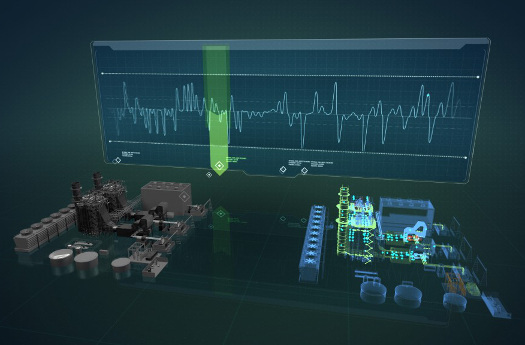 It essentially creates a digital model of the operations of an asset -- GE is building digital twins for wind turbines and jet engines, and also in the healthcare sector -- and continually updates the performance model with feedback from actual operation conditions. Lithium-ion batteries have been around since the 1970s, but scientists are still learning about the chemical reactions and cell physics that take place when a battery charges and discharges. Car batteries always include very basic sensors that measure things like temperature, current, and voltage. But GE has developed new measurements that, along with new physics-based models from the University of Michigan, allow the digital twin to track the complex electrochemical changes and mechanical and thermal behavior of the cell. The digital twin has already helped the group get a more in-depth look into what is happening to the battery during different driving conditions. For example, batteries actually swell and contract depending on how much charge they're holding. Knobloch's team has been able to find a correlation between the amount of expansion and the state of charge. This helps them get a better understanding of the amount of power available at any given time. "By knowing the state of charge more accurately, we know how much juice is in the battery," Knobloch says. "That's valuable, because you can then operate the battery more aggressively. It also allows us to reduce the size of the battery because you're using more of the total battery capacity." The team has been at this for three years and expects to have final results later this year. They have been testing their "digital" insights using an actual battery pack from a 2014 Ford Fusion Hybrid located at Ford Motor Company in Dearborn, MI. This pack is fitted with GE sensors and runs University of Michigan models and control algorithms. The team compares the results from this pack with a regular Ford pack to quantify the benefits of the sensors, models, and algorithms. The packs are inside what is basically a huge oven, where the temperature can be controlled to approximate the seasons, such as going down to -5 deg C in the "winter." 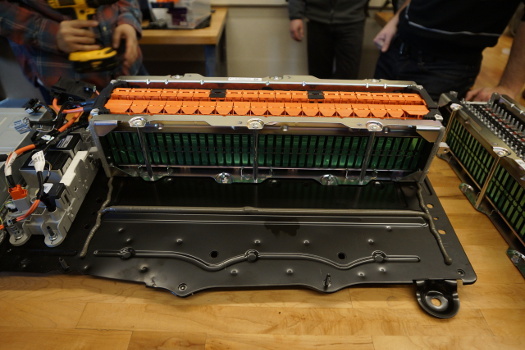 The batteries are hooked to a battery cycler, which simulates different power demands and driving conditions, like city versus highway driving. "We have been able to show with our models and sensors the ability to drive the batteries harder in these conditions," Knobloch says. "Cells heat as you operate them, and getting them warmer sooner improves the performance of the battery pack and consequently the car for the driver." 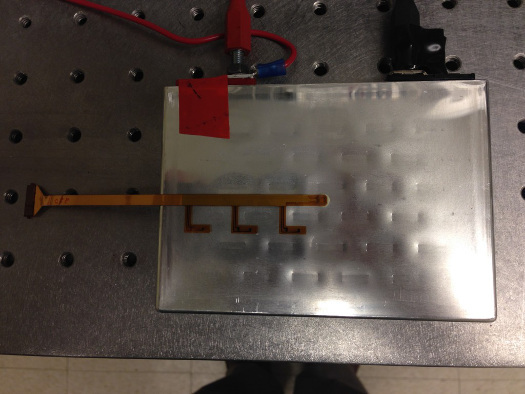 The research is specifically focused on lithium-ion batteries for hybrid vehicles, but Knobloch believes the monitoring technology is cell agnostic and could be used with other cell chemistries. "What's interesting about this project is we're using new data to inform our models," Knobloch says. "That's really where the digital twin technology is going to go in the future -- to tell us what are the key measurements we need and how we can make our models better by asking the right questions and having the right information." Read more GE Reports at www.gereports.com.